BREXIT – What it could mean for industry regulations & workplace health & safety. With so much uncertainty regarding the historic vote last Thursday 23/06/2016 when the people of the UK decided it was time to opt out of the European Union. A Prominent member since 1975 but much discontent was shared by the 17,410,742 (BBC 2016) people who decided it was time for some major change. In the aftermath of the EU referendum much has been speculated, there has been some contrasting projections made by experts as to how this decision will affect all areas of the economy, not just in the UK but across the globe. Here at Chemstore, we have tried to investigate what this historic decision will mean for industry, regulations relating to hazardous materials & workplace health & safety. 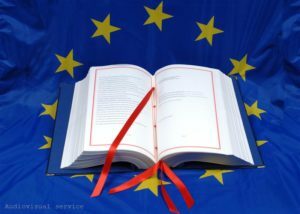 Article 50 of the Lisbon Treaty has been strongly debated over the last few days, which is the article prescribed as procedure for any member state who wants to leave the EU. Since this article has not been undertaken before, it will be a new process for both sides EU & UK. Health & Safety Legislation – what will change? As the negotiations for the UK to leave the EU have yet to begin and as described above will take at least two years to be agreed and enacted, it seems at this point and time that very little will change in short term up to 2018 as a minimum. The main problem is that EU & UK regulations and legislation have become very much intertwined and it’s hard to see how much will change regarding how the UK governs Health & Safety as the current system is working. The Health & Safety Commission (HSC) which was founded upon the creation of the Health & Safety at Work Act 1974 “HASAWA” which precluded the UK’s entry into the EU which is the primary piece of UK health & safety legislation. It places the famous emphasis phrase to ensure “as far as reasonably practicable, the health and safety at work” of all employees in the workplace. What will be a major question regarding the UK’s exit from the EU is whether the REACH regulations will still allow chemical manufacturers in the UK to trade chemicals freely in the EU market. If not then one fears that the chemical manufacturing industry in the UK will be majorly affected by the loss of free trade. 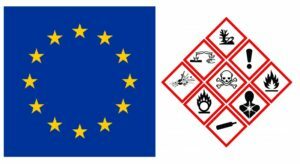 Another major European Regulation which is further example of combined laws the UK & EU currently share relating the hazardous materials is the (EC) No 1272/2008 on classification, labelling and packaging of substances and mixtures – The CLP Regulations. – The CLP regulations which replaced the CHIP labelling system to now adopt the Globally Harmonised System (GHS) on the labelling and classification of chemicals. It is hard to see why the UK government – HSE would throw out these newly adapted regulations but only time will tell. What is certain is that BREXIT will cause a lot of uncertainty in industry and we can only hope at this stage that it will not have a negative effect on workplace health & safety going forward.